scope of the intersection of music and politics. Visitors are invited to listen to mixtape podcasts, which will also be played on WSIA 88.9FM during the course of the exhibit. 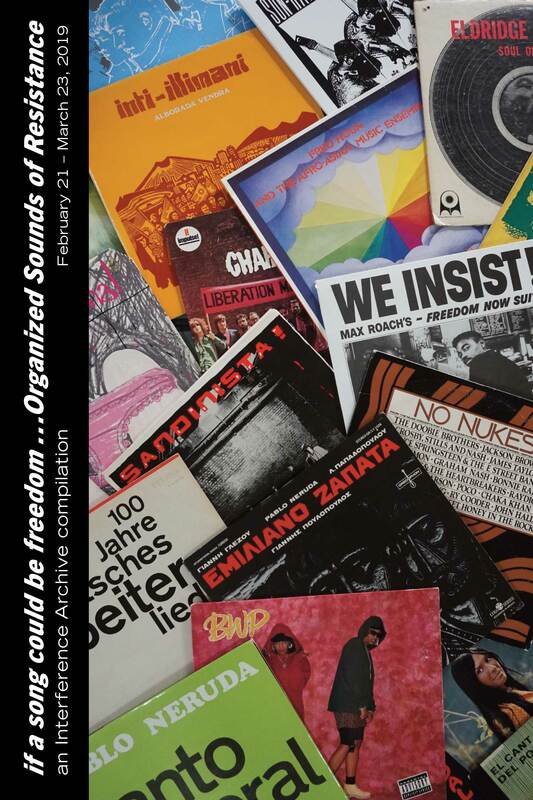 if a song could be freedom…Organized Sounds of Resistance is produced in conjunction with Interference Archive. Its programming is co-sponsored by Katherine Carl of the James Gallery and the Film Studies Certificate Program, both of The Graduate Center, CUNY.